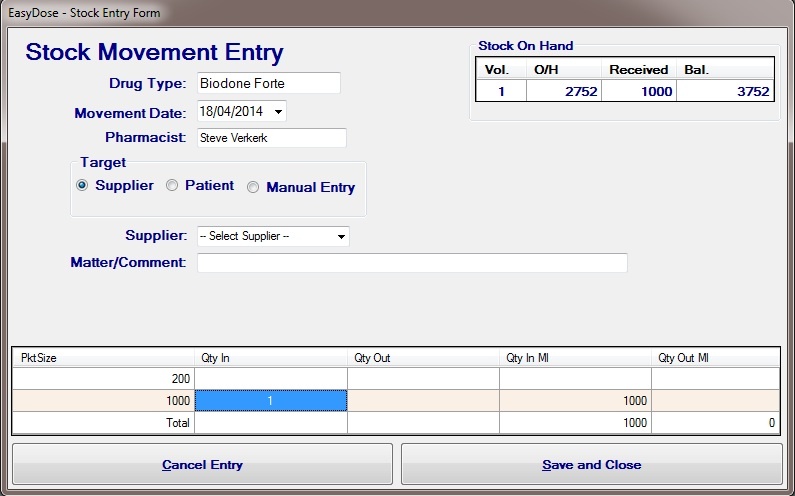 A quick method of adding stock has been introduced to EasyDose. If the EasyDose computer has a barcode scanner attached, incoming stock can quickly be added. Pressing F5 from anywhere in the program will open the Scan A Barcode form. Clicking the Scan Icon on the Quick Access Menu will also open the form. 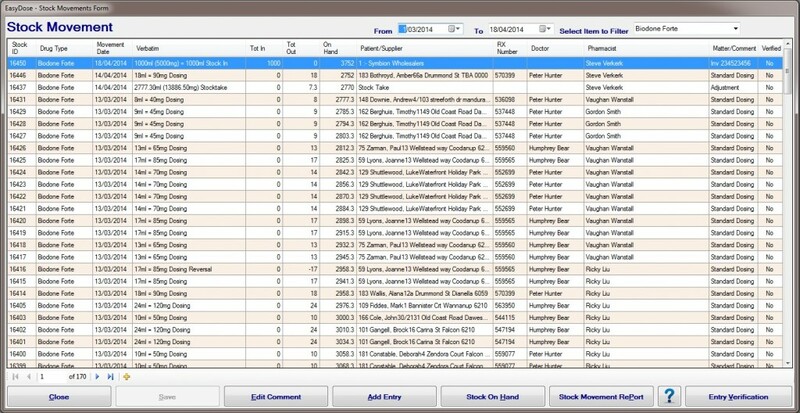 The Stock Movement entry form will open with the Incoming Stock Populated to match the barcode. To add further stock, select F5 and repeat process. NOTE: Biodone Forte does not have a barcode on the bottle so a quick to type number has been added to the system to simulate scanning a code. The following codes can be typed into the Scan A Barcode form followed by clicking Continue.